My buddy Bill Blackburn lent me his copy of the Peter Hayes book Fly Fishing Outside the Box. Bill and at least one other friend have been urging me to read this book. At first glance--without really reading it yet--I see he argues both live nymphs and live duns (like steelhead salmon and bonefish too for that matter) always orient themselves with head upstream, facing into the current. Does this really matter? I assume Hayes argues yes. And if so, then perhaps we should be tying nymphs and duns in reverse style with the tail at the eye end of the hook. I'm not going to take sides on weather it matters or not. Not now anyway. 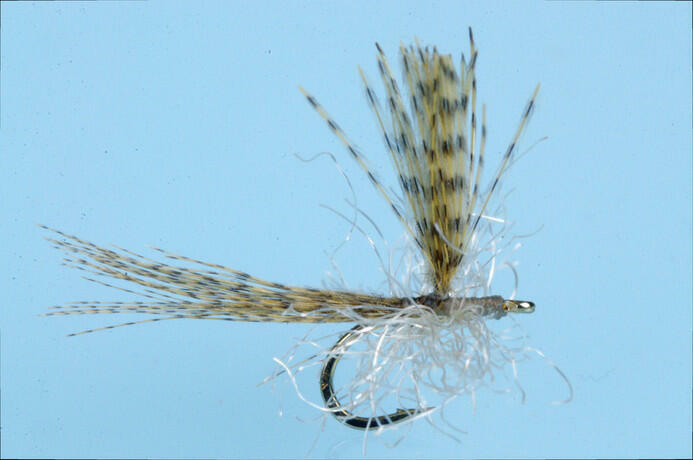 But it did occur to me, tying traditional catskill style mayfly duns in reverse, with the hackle nearest the bend of the hook, is devilishly tricky. 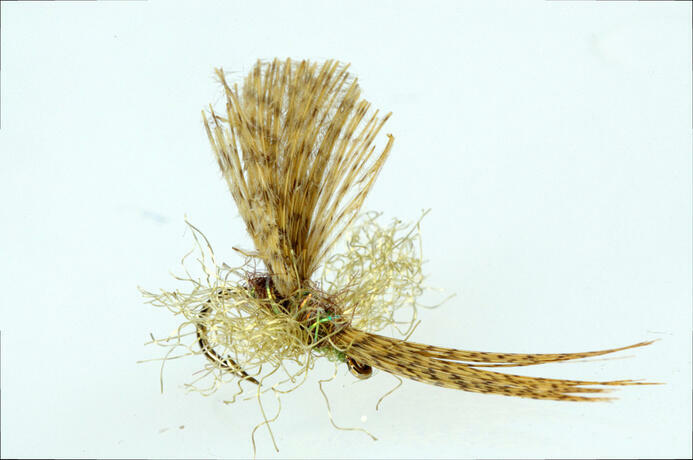 It's not at all easy to neatly wind a rooster hackle inside the bend of the hook. Ducktail Mayflies, on the other hand, pose no such problem. It's a little bit fussier to tie them in reverse. But not much fussier. That reversed fly looks really crazy - but in a good way. I'll bet you it can catch fish. I also have the outside-the-box book and have been planning on a review for a while. Perhaps I'll dig a little deeper into it during Christmas and get it done.